I have been a REALTOR® since 1984. I have consistently been a TOP PRODUCER in the New Orleans Metropolitan area concentrating on the Eastbank of Jefferson Parish, St.Charles Parish and Orleans Parish. I have been recognized as a Platinum Award Winner and Gold Award Winner with the New Orelans Metropolitan Association of REALTORS® and the 100% Club at Re/Max. I represent the sellers and assist in pricing, staging, marketing, and negotiating offers on our listings. I am always accessible and work hard to get the most money possible in the shortest period of time for our sellers. In 2008, I teamed up with my daughter, Erin Helwig, and she specializes in BUYER REPRESENTATION and most recently with Amanda Bayhi. Amanda and Erin will work very hard to find you the home that suits your needs and help you buy it at the right price. We do everything possible to make the process of selling or purchasing your home a pleasure. Whether you are just starting to familiarize yourself with the market or ready to buy right away, Erin and Amanda will be there working at your pace. We also have a TRANSACTION COORDINATOR and she works very closely with you through inspections, the loan process, shopping for insurance, and preparing for the closing. We offer excellent service to our clients and pride ourselves on our repeat and referrals from satisfied clients. WE ARE HERE TO SERVE YOU IN THE SPIRIT OF EXCELLENCE! WE WOULD LOVE TO ADD YOU TO OUR LIST OF SATISFIED CLIENTS! Think Real Estate. . . 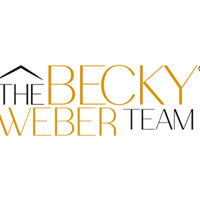 Think "The Becky Weber Team"